Gratitude by Zorica of Malibu is allergen free, toxin free, vegan, gluten free 100% pure perfume oil. 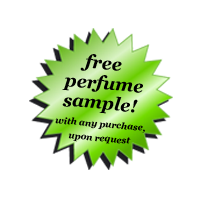 It is chemical and alcohol free there for people that can not wear regular fragrances can also enjoy this subtle scent that can be experienced by you and those in close proximity to you. Because is chemical and alcohol free Gratitude perfume needs to be applied on your pulse point more often than regular perfume. Protect yourself and loved ones from toxic chemicals that are found in many perfumes on the market. Study's show that women wearing the Grapefruit essential oil are perceived 10 years younger by men amongs other findings. Carry it in your bag and experience Gratitude every day!